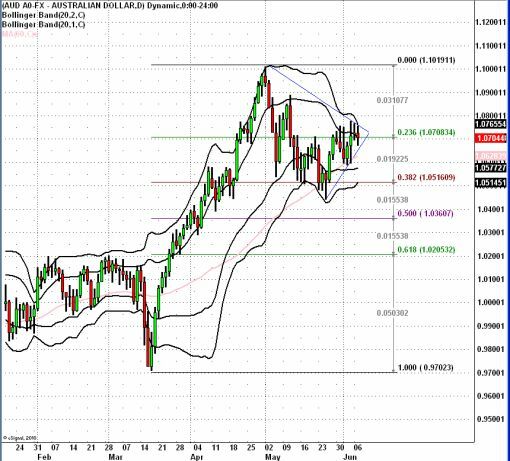 What Now for the AUD? Last night, the Reserve Bank of Australia left interest rates unchanged at 4.75 percent. Many investors were looking for hawkish comments from the central bank but as suspected, the RBA failed to deliver. Given the recent deterioration in economic data (that we showed in our Australian Data Table), I was a bit surprised by the market’s lofty expectations. Of the 28 economists surveyed by Bloomberg, 5 even expected a rate hike! However the RBA proved to not be as carelessly hawkish as I had feared by maintaining a neutral to slightly optimistic tone. Much of the RBA statement remained unchanged from the previous month which suggests that the central bank has not grown any more hawkish or dovish. As a result, investors sold the Australian dollar, making it the only high yielding currency to NOT appreciate against the greenback today. However just because the RBA opted for a more neutral stance does not mean that the rally in the AUD/USD is over. Based upon the central bank’s positive comments on growth, terms of trade, private investment and national income, interest rates could still be increased before the end of the year. The RBA is just waiting for commodity prices to resume its rise or the U.S. and China to experience stronger growth. As a result, the Australian dollar should continue to outperform the greenback. Even if the RBA maintains its current stance for the rest of the year, the AUD/USD could still trend higher simply on the easy monetary policy in the U.S.
Technically, the following chart shows that the AUD/USD is prime for a breakout. If the currency pair breaches 1.08, it should be clear sailing towards 1.10. 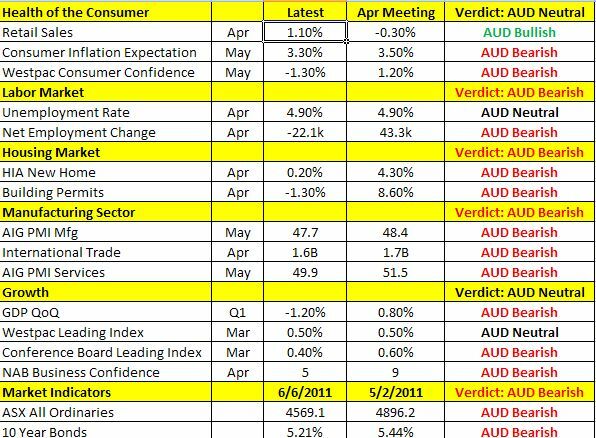 ← How Has the Australian Economy Changed Since May?